HTC has been producing a very well reviewed smartphones. In fact, HTC is considered one of the top smartphone manufacturers in the world. 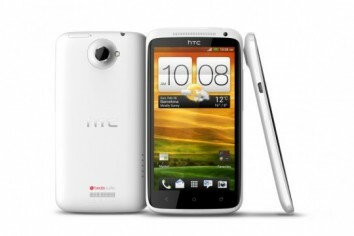 The company wants to further solidify its good reputation among smartphone fans with the release of the HTC One X. The HTC One X was shown at the recently held World Mobile Congress and it’s been getting a lot of positive comments. We think that the HTC One X does have a lot of promise as a smartphone. First of all it is a powerful device. HTC is one of the companies that will release a quad core processor-equipped smartphone and the HTC One X is one of those. To further beef up its power under the hood, this Android smartphone will actually have a dedicated imaging chip. Considering that it already has a quad core processor, the addition of an imaging chip is highly unusual because the processor is already very powerful. The imaging chip may have been included to enable the ability to take snapshots of scenes while simultaneously making a video. In the audio front the HTC One X is also carrying the latest technology, Beats Audio. A technology that is owned by Monster, Beats Audio is a software/hardware complement that will provide exceptional audio output when a compatible Beats Audio headset is plugged into the phone (it will use a 3.5mm audio plug). The phone will detect the presence of the headset and will switch automatically to a special audio profile that will take advantage of the pairing. On the display front, the smartphone will have a pixel density of 312 pixels an inch, which is packed enough to provide more than enough details at normal viewing distance. One of the new snags in the design of the HTC One X is the lack of memory expansion. The company has decided not to include a microSD slot to make sure that it will remain small and light. This may become an issue when the phone goes on sale because there are some consumers who will surely want a way to expand memory to store more media and files. 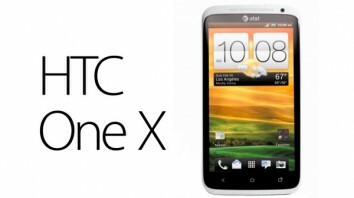 The HTC One X is definitely going to be one of the big smartphone hits this year.